Rarely available, West Van's prestigious Rockwood Estates, an exclusive 4.5 acre gated resort style waterfront community of 16 detached homes. Residents share manicured gardens, outdoor pool, hot tub, sauna & gated access to a level beach!This gorgeous, rambling one level home, with 3-4 bedrooms plus den, & 2.5 baths has a cozy feel, yet is ideal for entertaining large groups. 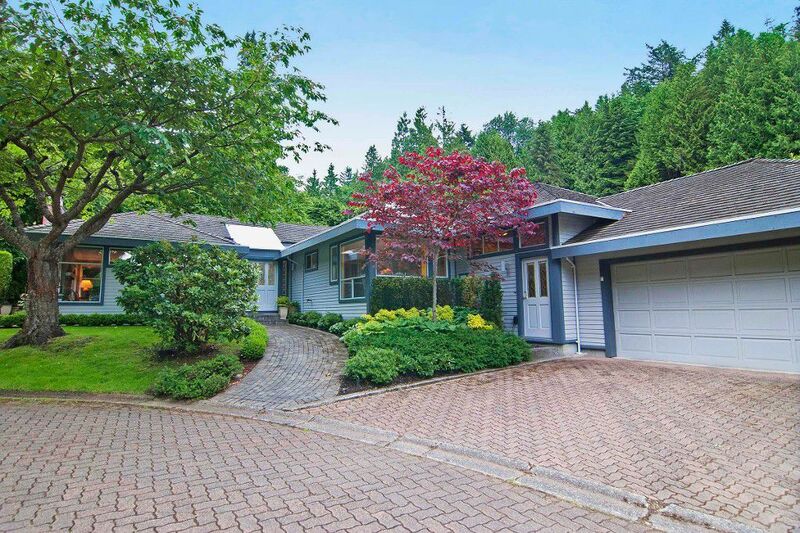 Nestled on a private, sunny corner lot with a sprawling patio & garden. Mere minutes to Parks, Nature Trails, Restaurants, Marina, Community Centre, Shopping,& sought after Gleneagles Elementary & Rockridge High School. Pet friendly too. What an Easy Lifestyle Package! Move-in ready! First Open House Sat June 21st, 2-4:30. Hurry over!